The client wanted illustrations of all 4 of her grandsons. So I created a vintage comic style background and placed Their faces on each one. I asked her to suggest an item which summed up their passion, to pop in the corner art of the comic cover. 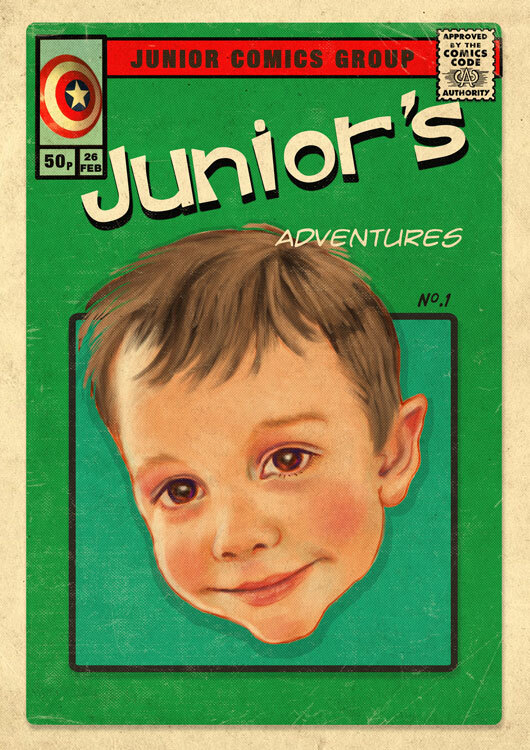 Captain America was Junior’s choice.